Well, in just a couple of weeks, we’ll be moving. New house, new city, and a new couch, because the old one smells like dog and spilled milk. This will be my 26th move, but the first in nearly ten years, so it’s been quite an experience–and, as I said the other three times, I swear, I will never sell a house again. Still, in spite all of the scrubbing, the repairing, the packing and the hauling, moving to me is still exciting. It’s the opportunity to start afresh. To explore new places, try new things, remake at least some of your life, and to throw out the parts that don’t fit any more. As far as we can deduce from Canon, Sherlock Holmes moved around four times: once when he left home for university (wherever that was); once to Montague Street; once to Baker Street, and once to his cottage on the Sussex downs. Depending on the biographer (Baring-Gould wrote that Holmes lived in France as a child, traveled to America with an acting troupe, etc. ), you might find other suggestions, but those are the homes we know of for sure. As it does for most of us, each marked the beginning of a new stage in his life: student, independence (and his new profession as a consulting detective); the beginning of his friendship with Watson (and a more profitable career) and, finally, retirement. Name three things with which, according to the Canon, Sherlock Holmes occupied himself during retirement. 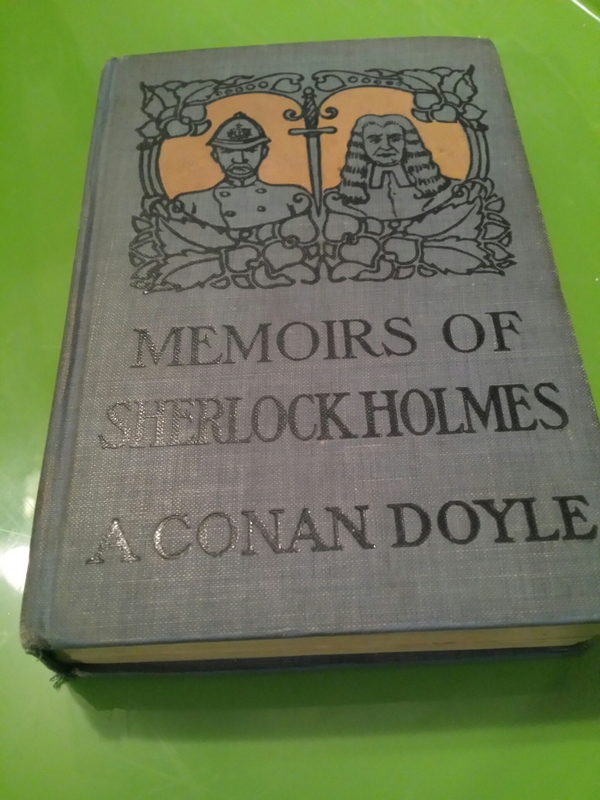 This time, the chosen winner will receive an 1894 copy of The Memoirs of Sherlock Holmes–surely a volume which occupied his cottage bookshelf. As always, send your answers via Facebook PM, Twitter DM, or blog comment. Good luck! Congratulations to Regina Stinson, winner of the Elementary DVD! There were many, many quotes offered as entries, primarily from SIGN, REDH, REDC and STUD, and covering German, French, Italian and Latin. Thanks to all who entered!